Born: Tompkinsville, Kentucky on March 30, 1825. Died: Eureka Springs, Arkansas, in August of 1895. He attended West Point and was a roommate Thomas Jonathan (Stonewall) Jackson. He graduated as a brevet second lieutenant on July 1, 1846, and fought in the Mexican War, participating in battles of Cerro Gordo, Churubusco, and Molino del Rey. Commended for valor and promoted to First Lt. Maxey was chosen to command part of a postwar police guard in Mexico City. In 1849 Maxey resigned from the army and began practicing law in Albany, Kentucky, with his father. Maxey and his father moved their families to Texas, where they arrived in October 1857 and purchased five acres south of Paris in Lamar County. Maxey served as district attorney for Lamar County. At the outbreak of the Civil War he sought permission to form a regiment. He was also running for the Texas Senate that year. After winning his senate seat, he sent his father to Austin to serve for him. Maxey's newly-formed Ninth Texas Infantry regiment left Texas on New Year�s Day, 1862. He joined the forces of Albert Sidney Johnson and was made Brigadier General in March of that year. 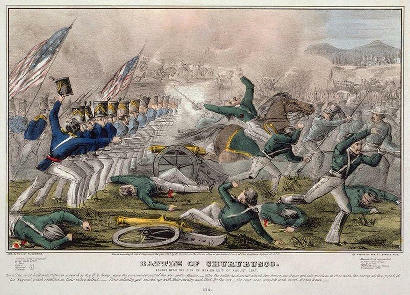 His forces fought in the Vicksburg campaign and at Jackson, Mississippi. In the waning days of 1863 he was made commander of the Indian Territory. In February of 1865 he was placed in charge of a division of cavalry. By that time the war was winding down and desertion was rampant. In May of that year, a discouraged General Maxey requested to be relieved of his command. Unbeknownst to Maxey, he had been promoted to Major General prior to his resignation. 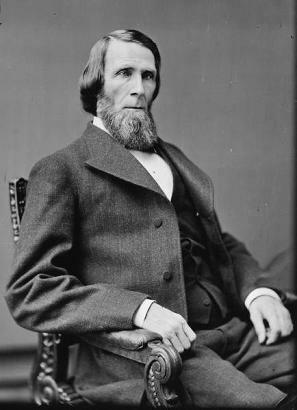 In January of 1874, Maxey was elected a U.S. Senator and served for two terms. During his tenure he served on the post office committee and established a mail route from Fort Worth to Yuma, Arizona. Maxey harbored no animosity toward the U.S. Government and is remembered for his moderate views. He looked to the future and not to the past. He became friends with former enemies Ulysses Grant and William Tecumseh Sherman � two of the South�s most hated Union generals. According to Nolan Maxie, a direct descendant of SBM, living in Conroe, Texas, there had been no fewer than 33 members of the Maxey family that fought for the North. In the summer of 1895, Maxey, suffering from a gastro-intestinal disease, died at Eureka Springs, Arkansas where he had sought treatment. He was buried in Paris, Texas. 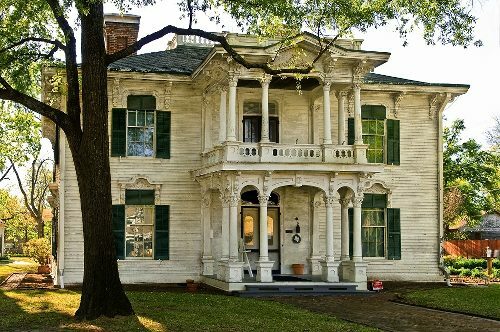 The Maxey House in Paris, built in 1869, was placed on the National Register in 1971. It is one of North Texas� oldest and most authentic historic structures. �A friend if mine recently visited Paris, Texas. Discovering US Army Camp Maxey and the Maxey Home, a State Historical Site, he returned home and asked me if Sam was a relative of mine. Yes, I am proud to say Sam Bell Maxey is in my family tree. He and I come together from�the second and third generation of Maxeys in this new country. His line�comes from Radford Maxey and I descend from Walter Maxey�back in Goochland County,�Virginia.�The entire Maxey line in this country descend from Edward and Susanna Maxey who arrived�here from England and took a land grant in the early 1700's in Goochland County on the James River.